Home › Blog Topics › Advocacy/Leadership › Using the Right Terms Creates the WOW Moment! Have you ever been in a situation where you are talking to someone, but you know that your message is not being understood by the other person’s body language? Sometimes the problem is the terms that you are using. To them you are speaking another language. Therefore, in conversations with state leadership, administrators, and other coalition members use the terms within ESSA (Every Student Succeeds Act) because you want them to make the connection. Thus creating the WOW moment that school libraries and librarians are an essential part of the plan! The AASL Vision for Implementing ESSA Task Force created a handout of ESSA Terms. 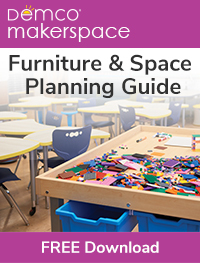 Along with providing definitions of important terms, the document includes talking points addressing how school libraries/librarians relate to each term. 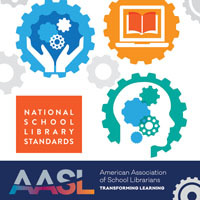 You can also access the document by going to AASL’s ESSA and School Libraries site. Click on the Resource and Information page then look under Advocacy Tools. 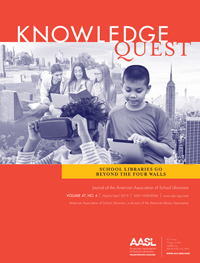 Make the connection between ESSA and school library programs! Speak the language of your audience so they have the WOW moment that school libraries and school librarians are a vital part of the plan so that every student succeeds!